Can we all agree the difference between the Democratic and Republican conventions was pretty stark? Can we all agree that, based on the TV ratings, America seems pretty engaged in the political process, even though it’s the middle of summer and half the country is on vacation somewhere? Can we all agree that if Ronald Reagan had been watching, he would have a lot more in common with the Democratic themes than with anything he would have heard at the GOP convention? 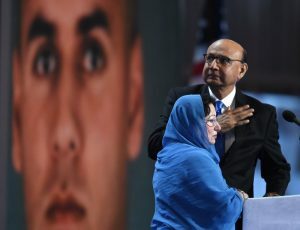 Can we all agree the most powerful, but least watched part of the convention may have been the speech by Khizr Khan, whose 27-year-old Muslim-American son was killed in Afghanistan? Can we all agree with Sarah Silverman that Bernie Sanders supporters, who continue to be angry with Hillary Clinton are just “being ridiculous,” although polls seem to show that 90% of them, outside the convention hall support the Democratic nominee. Can we all agree that Mrs. Clinton is not the best public speaker but then, President Obama, The First Lady, Joe Biden and Bill Clinton are pretty tough acts to follow? Can we all agree that Chelsea sounds like she will take after her father as a public speaker? Can we all agree Donald Trump has succeeded in totally embarrassing his own wife? Can we all agree that Mr. Trump’s press conferences are must see TV, just to find out what he will be retracting the next day? Can we all agree we’re not surprised that Mr. Trump’s favorite movie is about a billionaire megalomanic? Can we all agree the next three months will be among the most decisive in the nation’s history? Can we all agree the Clinton campaign should be pretty nervous if stories that her email accounts were hacked by Vladimir Putin’s geek squad are true? Can we all agree that if DNC chair Debbie Wasserman had been more transparent in the way she handled the Democratic primary season, she might have been able to keep her job, even after the hacked emails were made public and the DNC had to issue an apology? Can we all agree there was plenty of other news, but it was tough to find amid all the convention coverage? Can we all agree the second quarter GDP figure makes it seem like the economy is a lot worse than it really is? Can we all agree it was just a matter of time before our own mosquitos were found to carry the Zika virus? But don’t expect our representatives to take a break from their 7-week recess to return to Washington to do anything about it? Can we all agree the best thing most Americans could do to show support for Europe would be to vacation there this summer and fall? Can we all agree that while it’s great to see 6 more public officials charged in connection with the Flint water crises, I doubt the residents of that city feel any comfort when they look at what has been done to their children? Can we all agree the most bittersweet story of the week might be the opening of the new Sandy Hook elementary school? Can we all agree it was encouraging to know the Federal Court saw right through the North Carolina and Wisconsin legislatures’ attempts to restrict voting in their states? Can we all agree it was fun to see Stephen Colbert revive his conservative alter ego, but troubling to find out the effort may be short lived? Can we all agree it was probably only matter of time before state fairs began sponsoring marijuana pie contests? Can we all agree that only the notorious RBG could get away with presiding over a mock court appeal by Shylock after a Venice production of the Merchant of Venice? Can we all agree the closure of media outlets and detainment of 47 newspaper executives pretty much ends any doubts about whether Turkey is still a democracy? Can we all agree that, as my radio colleague Rick Love noted, we are all a bit concerned what will happen when John Hinkley’s 91-year-old mother is no longer around to supervise his home detention? Can we all agree that, once again, the NFL has escaped criticism for their faulty show of concern about concussions in young football players? Can we all agree that in any other week the government’s decision to admit more refugees from Central America would have touched off a huge controversy? Can we all agree that of all the senseless ISIS murders, the death of an 85-year old priest during morning mass in France was among the most pointless? Can we all agree that basketball icon Michael Jordan deserves praise for literally putting his money where his mouth is, when he spoke out against violence this week? Can we all agree that no one is looking forward to the kind of horror stories about unfinished Olympic facilities that we expect to read when the Games open next week? Not to mention the trials of the Russian athletes over doping allegations. One on what really happens at The baseball Hall of Fame and another on life in New York City – enjoy. 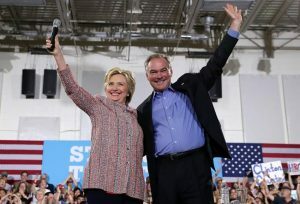 Can we all agree Hillary Clinton’s decision to pick Senator Timothy Kaine as her running mate was probably the safe choice, but he could make a difference with more moderate republicans? Can we all agree, that if the GOP was trying to expand their base, their convention this week was a disaster? Can we all agree that if most Americans bought into Mr. Trump’s doom and gloom picture of the United States we would all have moved to New Zealand? Can we all agree the convention did little to convince anyone that the Republicans are just one big happy family? Can we all agree that if your main themes are to either kill or jail your opponent you don’t really have a platform? Especially if the FBI rightfully starts an investigation – of you. Can we all agree that Ted Cruz might have thought he was starting his 2020 campaign, but he was really ending it? Can we all agree that as long as Mr. Trump maintains a thin skin and an outsized ego, Democrats will have no problem embarrassing him for the next three months? Can we all agree that when one major speaker is booed off the stage and another is shown to have plagiarized parts of her speech, it’s tough to call the week a success? Can we all agree we are not surprised at the GOP convention TV ratings – it was quite the show? Can we all agree that without the GOP convention and it’s jaw dropping moments, there was still plenty of unsettling news? Can we all agree we’ve run out of words to describe the senseless violence striking Western Countries but we know Donald Trump will not make us feel safer? Can we all agree that two years of searching for the missing Malaysian airliner is more than enough? Can we all agree that regardless of what you think of Roger Ailes, he had a major impact on TV news and US politics? Can we all agree that we would not have Donald Trump as a candidate, were it not for Ailes and Fox TV? 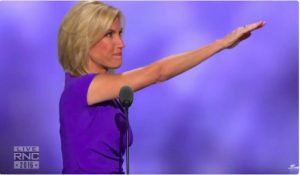 Radio host Laura Ingraham salutes the GOP nominee. Can we all agree the NBA’s decision to move their all-star game from Charlotte, is an important chapter in sport’s history? If no changes are made will Michael Jordan move his team? Can we all agree the real losers on the decision to ban the Russian track and field team from the Rio Olympics, are the few athletes who did not take drugs because it would not have helped their performance? Can we all agree, news that the Nice truck driver had apparently been planning his attack for a year, and may have had accomplices puts a new spin on his horrible act? Can we all agree, the real victim will be his own country? Erdogan may have already sown the seeds of his own fate, and that of cleric Fethullah Gülen? Can we all agree that soon, the only term that will describe Erdogan is, dictator? Can we all agree that GOP attempts to limit voting are having a tough time standing up to the constitution? Can we all agree that advocates of gun control may not need many more stories like this, out of Massachusetts, to make their point? Can we all agree that Rep.Loretta Sanchez is showing some signs of desperation now that President Obama and others have endorsed Kamala Harris in the race for the California senate seat? Can we all agree if you’re a baseball fan and want to know why The Boston Globe’s Dan Shaughnessy is headed to the Hall of Fame this weekend, you should read this? Can we all agree these are not the kinds of fireworks Americans wanted to celebrate the Fourth? Can we all agree, this must stop? Can we all agree that, as Newt Gingrich noted this week, it’s impossible for white Americans to understand why black Americans have grown to fear the police? Can we all agree that no-one should wind up dead for having a broken tail light on their car? Can we all agree no-one should wind up dead after they are pinned to the ground by police? Can we all agree that no police officer should wind up dead while protecting a peaceful protest on their city’s streets? 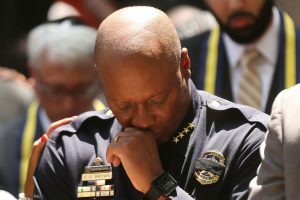 Can we all agree it’s too bad that Dallas police, apparently a city known for it’s community policing, will now be known for the deaths of five officers? Can we all agree that someone needs to step up and lead us in healing? Can we all agree the NRA is speaking volumes by their silence? Can we all agree this has gone way beyond politics? Can we all agree it will be a real tragedy if nothing changes? Can we all agree we are a bit unnerved by the use of a robot to kill the cornered suspect in Dallas? Can we all agree we are amazed at the calm, un-emotional actions of Diamond Reynolds as she live-streamed the aftermath of Philando Castile’s murder? Can we all agree the Texas Lieutenant Governor has too be the dumbest politician in the state, for criticizing protestors who ran from the gun fire in Dallas?. Can we all agree, just when you think it cannot get any nuttier, a former politician has to chime in and threaten the President? For more on this week’s news, see my regular CWAA – 7/9/16 edition below. Can we all agree that the rest of the week’s news pales in comparison to the gun violence, but it should be noted? Can we all agree that Serena Williams deserves her spot atop the list of best athletes of this generation? Can we all agree, no-one on this side of the Atlantic really understands what’s going on in Britain? 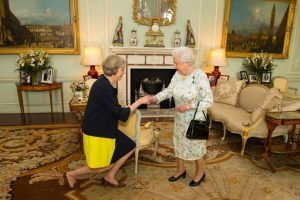 Can we all agree that we are all sure that the woman the British choose to lead them, will need the fortitude of Margret Thatcher to lead them out of their mess? Can we all agree that FBI chief James Comey, apparently wanted to clear Hillary Clinton of any criminal wrongdoing regarding her email server, but felt he had to be severely critical to placate the GOP? Can we all agree the Republican hearings the day after the FBI announcement were a waste of time? Can we all agree Donald Trump wasted a great opportunity to attack Hillary, by choosing instead to extoll the virtues of Saddam Hussein? Can we all agree that Donald Trump has no knowledge of the US constitution? Can we all agree Trump’s bid to unify the GOP in Washington behind him, was pretty much a failure? Can we all agree Bernie Sanders didn’t have much luck either when he addressed his Democratic colleagues? Can we all agree that Republican comparisons between the Clinton case and convicted general David Petraeus are absurd on their face? Can we all agree that an economy that creates almost 300,000 jobs in a month is doing pretty well? Can we all agree the British report criticizing the actions of former Prime Minister Tony Blair over the Iraq invasion, is really an indictment of George Bush? 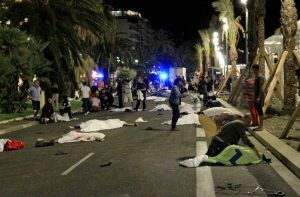 Can we all agree the West has become desensitized to the violence, suicide bombers and murder in the Mid-East? Can we all agree President Obama’s decision to leave 8500 troops in Afghanistan was really no big surprise? Can we all agree that we want to believe the sexual harassment charges against Fox News president Roger Ailes? Can we all agree that Americans take NASA’s remarkable achievements, like sending a satellite to orbit Jupiter, for granted? Can we all agree who have no idea why the openly gay CEO of Apple, Tim Cook, would want to hold a fund raiser for House Speaker Paul Ryan? Can we all agree that it’s a bit disheartening to know it took the state of California a month to count the ballots from last month’s primary? In case you missed it, Hillary won. Can we all agree that Kevin Durant has now made the Warriors the most unloved team in the NBA? 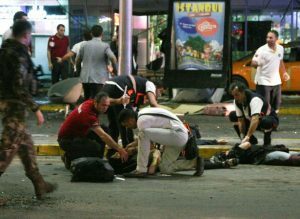 Can we all agree that whether it’s Orlando, Florida, Istanbul, Turkey or Dhaka, Bangladesh, it’s vitally impossible for law enforcement agencies to protect every location on Earth from terrorist attacks? Can we all agree that when the government releases information on civilians killed in drone strikes on the Friday before a long holiday weekend, they really don’t want the public to notice? Can we all agree that when the husband of a spouse who is the subject of an FBI investigation, meets with the Attorney General, it doesn’t really matter what they actually discussed, they should never have met? Can we all agree that even if one state, California, passes tough gun control measures, it will make little difference unless there are more stringent national standards? Can we all agree it’s good to know the Antarctic ozone hole has been reduced, but it’s tough to know what impact that has on global warming? Can we all agree that until technology can account for the actions of stupid drivers, the notion that driverless cars will eliminate accidents is just absurd? Can we all agree that most American are thrilled to see the turmoil that has become British politics after the Brexit vote, because it takes the spotlight off us and the antics of Donald Trump? Can we all agree that either EU leaders will pay attention to the British vote and make some changes in their system, or they will have a tough time holding their union together? Can we all agree the world could use a few more leaders like German Chancellor Angela Merkel? Can we all agree we are amazed the Congress actually found time to come together and pass legislation to help Puerto Rico escape from its debt crises? Can we all agree, it would be nice if Congress could stop trying to make political points and actually fund Zika prevention programs? Can we all agree that actor Jesse Williams did a pretty impressive job of outlining the problem, in his BET acceptance speech? Can we all agree the Supreme Court may have turned the tide on abortion rights in this country, with their decision this week? Can we all agree that the expansion of the Panama Canal is an engineering marvel, as long as you done’t look too closely at the environmental damage? Can we all agree the purpose of the House Benghazi Committee investigation into Hillary Clinton’s activities never had anything to do with the safety of American diplomats? Can we all agree there will never be another coach like Pat Summitt? Can we all agree the brouhaha over the Marine Corps decision to change some job titles is the very definition of a tempest in a teapot? Can we all agree Donald Trump has successfully scared the crap out of his own party by blasting free trade which has long been a cornerstone of GOP policy? Can we all agree it’s starting to look like Hillary Clinton and Elizabeth Warren might become a pretty impressive Democratic ticket? Can we all agree the GOP convention in Cleveland may be the first time no politicians, other than the party nominee, gave a speech? No-one in the GOP apparently wants to attend. Can we all agree we have to give Trump some points for resilience, no matter how many scandals or inconsistencies are uncovered he just makes believe they don’t exist and conjures up another lie to satisfy his supporters? Can we all agree that whether Trump chooses Chris Christie or Newt Gingrich to be his running mate, it will make little difference in the election’s outcome? Can we all agree it’s tough not to root for Michael Phelps to win a few more Olympic medals?